We've outlined a handful of the most eye-catching techniques that the best marketers are leaning on to make sure their digital signage captures the target audience. Digital Social Retail is offering an opportunity to license digital management software, digital screens and beacon technology all in one package. Let's walk through three simple but effective ways to optimize your beacons for business. How can your organization improve its proximity marketing engagement? Active engagement is key to successful proximity marketing. What measures can a company can take to convince users to opt in? With a number of exciting marketing technologies on the rise, marketers would be well-served to create a strategy that leverages the most effective tools. 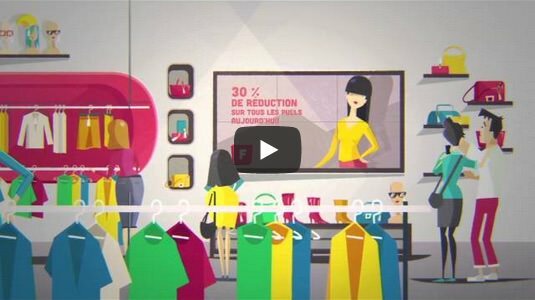 Until now, beacon technology has only been deployed at the organizational level - but a partnership between Digital Social Retail and Saint-Étienne, France, is going to change that. What’s on the menu for beacon tech in the food industry? Restaurants are no strangers to technology anymore - here's why beacons are the next big gadget for the food service industry. As a business owner, the bottom line is your chief concern - here's how digital displays can help you generate revenue. Digital ads outdo print ads in every category and also position your company as a thought leader and trendsetter. Beacon technology is among the most exciting trends in the digital world - here are answers to your burning questions about the platform. Beacon technology can allow a small business to grow in new ways.